Lifestyle Solutions for a Happy Healthy You! The heartbreaking reality is that almost every person reading this post will in some way be affected by Alzheimer’s disease. While nothing can truly prepare you for the emotional, financial and spiritual gauntlet that is dementia, it is possible for each of us to help create a better world for those with the condition. Ultimately, it’s about making Alzheimer’s awareness an ongoing effort—not just for one month out of the year. And while donating money is a helpful step, perhaps a more profound donation is that of the time necessary to educate ourselves (and others) about the realities of the disease and the challenges faced by those who have it. As science strives for a medicinal cure, we must do our best to support those for whom such a cure will probably come too late—the five million Americans currently living with Alzheimer’s disease, and their families. Three of these families have shared their story in the online narrative: “Fade to Blank: Life Inside Alzheimer’s” as a way to help others understand the true impact of the disease on the lives of patients and their loved ones. Their raw, unfiltered perspective offers a glimpse into a complex world of love, fear, hope and anguish. How will you support Alzheimer’s patients and caregivers this month (and all year long)? Share your thoughts below. AgingCare.com connects family caregivers and provides support, resources, expert advice and senior housing options for people caring for their elderly parents. AgingCare.com is a trusted resource that visitors rely on every day to find inspiration, make informed decisions, and ease the stress of caregiving. Would feeling fantastic every day make a difference in your life? Concerned about their health and the environment. Frustrated battling allergies to gluten, foods, dust, chemicals, pollen. Overwhelmed with choosing the best products for their body, home, and office. Unsatisfied with their relationships with the men and women in their life and are ready to transform them into satisfying, happy partnerships. Standing at a Career Crossroad. Preparing to start a family and want a healthy baby. Seeking solutions for aging, more energy, and a good night’s sleep! Are any of these an issue or problem for you? Would it make sense for us to spend several minutes together to discuss your needs and how HealthyHighway can meet them? As a Healthy Lifestyle Coach with an emphasis on allergies and wellness, Leesa teaches her clients to make informed choices and enables them to make needed changes for a Happy Healthy Lifestyle. What you eat, what products you use ~ on your body and in your home and office, how you talk to yourself ~ it all matters! Contact me today and Start today to live a healthier, happier life! Don’t live in Atlanta? Not a problem. We do virtual coaching worldwide! I look forward to helping YOU Live a Happy Healthy Life! Remember, Excellent Health is found along your way, not just at your destination. Live Well… Lifestyle Solutions for a Happy Healthy You! ~ Available Now! Melodies from Within ~ Available Now! Available on Amazon, Barnes&Noble, GooglePlay, iTunes! “All governments should make dementia a priority,” according to the authors of the report, which calls upon policymakers across the globe to “transform their system of priorities” and infuse dementia research and support efforts with a tenfold increase in funding. These statements echo the pleas made over the years by countless individuals and advocacy groups; a universal cry to address the threat of the “silver tsunami” that looms ever larger in the world’s rear view mirror. The report itself highlights many current caregiving issues that advocates warn will only become more concerning as time goes on. Why are family caregivers so undervalued? What factors force people to place their loved one in a long-term care facility? How can we preserve the quality of life of individuals with dementia and their caregivers? Progress is being made to address each of these problems, with different countries adopting different strategies to find a solution to the dementia care crisis. The United States joins eleven other countries (Norway, Australia, Netherlands, Scotland, Denmark, Finland, England, Wales, France, Republic of Korea and Northern Ireland) in releasing a formal plan to address Alzheimer’s and other dementias in their respective domains. Improving support (both financial and emotional) for those affected by dementia, enhancing the quality of care provided by long-term care facilities and reducing the overall costs associated with dementia top the lists of priorities in these plans. The global community appears to agree on the overall goals of dementia care, but a surprising number of differences in execution occur, depending on geography and cultural practices. After retiring from her professorial post at Rutgers University, Greenblatt—inspired by her childhood experiences with her grandparents and a budding passion for photography—crisscrossed the globe in search of examples of high quality dementia care. Despite the cultural disparities and ideological differences of the regions Greenblatt visited there was one central theme that united them all. No matter which country she found herself in—India, Japan, France, or the Dominican Republic—Greenblatt discovered that the best dementia care practices were the ones that focused on celebrating the ongoing humanity of the person with the disease. “The things that make a difference are the things that are universal—treating people with dignity, being in the moment,” she says. India: Money is always a significant factor when caring for someone with dementia, no matter what side of the Equator they live on. Having fewer finances often amplifies the burden of dementia on a person and their family. But low-income elders in Cochin, India receive special treatment, thanks to a group of professional staff and volunteers from the Alzheimer’s and Related Disorders Society of India (ARDSI). While traveling around India, Greenblatt visited the home of a woman with advanced dementia whose bed consisted of little more than a wooden frame with a piece of cardboard over it. Still the woman was able to receive a treatment plan and regular in-home visits from ARDSI caregivers and social workers. France: Greenblatt describes the remarkable transformation of a dementia-stricken Frenchman named Marcel. In a special Snoezelen room at the Villa Helios in Nice, France, Marcel, whose condition was causing him to act angry and violent, was changed into a gentler, more caring soul. Snoezelen rooms are used to calm those with cognitive disorders, such as autism and dementia. They contain an array of different sensory stimuli, including water beds, soothing scents, soft lighting, and even big water tubes with bubbles piped into them. The Netherlands: Just beyond the outskirts of Amsterdam lies Hogewey, a quaint village occupied by just over a hundred people. The town has a theatre, a grocery store, a beauty salon, restaurants and cafes. What makes Hogewey different from the traditional European hamlet is the fact that nearly half of its inhabitants have moderate or severe dementia. The remaining “residents” are in fact specially-trained caregivers who pose as beauticians and restaurant staff, all the while making sure those with cognitive impairment remain safe and calm. The so-called “dementia village” is actually an innovative care facility designed to make those suffering from memory loss feel as though they are living regular lives and remain engaged with their environment. Residents’ rooms are decorated based on their hobbies and interests, food preparation and service are tailored towards individual preferences and there are always staff members available to provide hands-on care for those who need it. Other caregivers surreptitiously keep an eye on the residents as they go out shopping or to the salon, always ready to step in and make sure no one endangers themselves. The village’s single exit is manned by a staffer who tells any approaching resident that the door is either broken or barred and offers an alternative path. This prevents residents from wandering away and becoming lost—an especially common concern for those with profound dementia. The United Kingdom: The Pan-London Dementia Action Alliance recently announced a formal push to make London the world’s first dementia-friendly capital city. Unlike Hogewey—a self-contained village created specifically for those with dementia—London aims to integrate the cognitively-impaired into its pre-existing metropolis more effectively. This will involve the coordination of countless smaller initiatives, such as making landmarks more accessible and instructing fire fighters, policemen and bus drivers how to identify and communicate with the dementia-stricken. Across the world, person-centered dementia care is rapidly replacing the outdated paradigms that relegated the cognitively impaired to wheelchairs in locked wards. Excellent Health is found along your journey and not just at your destination. Would it make sense for us to spend several minutes together to discuss your Health Issues or Problems and how HealthyHighway can help YOU Live YOUR Optimum Life? Please complete the information on our Contact Us page to schedule your consultation today! I look forward to helping YOU Live YOUR Optimum Life! The term dementia is used broadly to describe a condition which is characterized by cognitive decline, but there are many different types of dementia. Although it is usually progressive, properly diagnosing dementia can reverse the effects and be treated and even cured completely by addressing the underlying cause. However, dementia caused by incurable conditions such as Alzheimer’s disease, are irreversible. What are the different types of dementia? Experts estimate that Alzheimer’s disease is the underlying cause of — of all dementia cases. However, there are many other conditions which can also cause dementia, which makes it vital for the patient to obtain accurate diagnosing of dementia early on in order to get proper treatment. Following are some of the most common types of dementia and their causes. blood vessels, including stroke, diabetes and hypertension. Sometimes dementia is caused by more than one medical condition. This is called mixed dementia. The most common form of mixed dementia is caused by both Alzheimer’s and vascular disease. Sometimes referred to as Lewy Body Disease, this type of dementia is characterized by abnormal protein deposits called Lewy bodies which appear in nerve cells in the brain stem. These deposits disrupt the brain’s normal functioning, impairing cognition and behavior and can also cause tremors. DLB is not reversible and has no known cure. Parkinson’s disease is a chronic, progressive neurological condition, and in its advanced stages, the disease can affect cognitive functioning. Not all people with Parkinson’s disease will develop dementia, however. Dementia due to Parkinson’s is also a Lewy body dementia. Symptoms include tremors, muscle stiffness and speech problems. Reasoning, memory, speech, and judgment are usually affected. Pick’s disease, the most common of the frontotemporal dementia types, is a rare disorder which causes damage to brain cells in the frontal and temporal lobes. Pick’s disease affects the individual’s personality significantly, usually resulting in a decline in social skills, coupled with emotional apathy. Unlike other types of dementia, Pick’s disease typically results in behavior and personality changes manifesting before memory loss and speech problems. CJD is a degenerative neurological disorder, which is also known as mad cow disease. The incidence is very low, occurring in about one in one million people. There is no cure. Caused by viruses that interfere with the brain’s normal functioning, dementia due to CJD progresses rapidly, usually over a period of several months. Symptoms include memory loss, speech impairment, confusion, muscle stiffness and twitching, and general lack of coordination, making the individual susceptible to falls. Occasionally, blurred vision and hallucinations are also associated with the condition. Normal pressure hydrocephalus involves an accumulation of cerebrospinal fluid in the brain’s cavities. Impaired drainage of this fluid leads to the build-up and results in added pressure on the brain, interfering with the brain’s ability to function normally. Individuals with dementia caused by normal pressure hydrocephalus often experience problems with ambulation, balance and bladder control, in addition to cognitive impairments involving speech, problem-solving abilities and memory. Huntington’s disease is an inherited progressive dementia that affects the individual’s cognition, behavior and movement. The cognitive and behavioral symptoms of dementia due to Huntington’s include memory problems, impaired judgment, mood swings, depression and speech problems (especially slurred speech). Delusions and hallucinations may occur. In addition, the individual may experience difficulty ambulating, and uncontrollable jerking movements of the face and body. Wernicke-Korsakoff syndrome is caused by a deficiency in thiamine (Vitamin B1) and often occurs in alcoholics, although it can also result from malnutrition, cancer which have spread in the body, abnormally high thyroid hormone levels, long-term dialysis and long-term diuretic therapy (used to treat congestive heart failure). The symptoms of dementia caused by Wernicke-Korsakoff syndrome include confusion, permanent gaps in memory, and impaired short-term memory. Hallucinations may also occur. Dementia can be due to medical illness, medications and a host of other treatable causes. With mild cognitive impairment, an individual will experience memory loss, and sometimes impaired judgment and speech, but is usually aware of the decline. These problems usually don’t interfere with the normal activities of daily living. 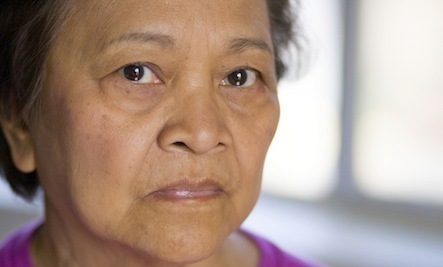 Individuals with mild cognitive impairment may also experience behavioral changes that involve depression, anxiety, aggression and emotional apathy; these can be due to the awareness of and frustration related to his or her condition. The health care professional you meet with will need to know the symptoms the patient is experiencing, their duration, frequency and rate of progression. The doctor will do everything he or she can to make the patient comfortable while diagnosing dementia, which includes addressing the patient’s fears regarding the types of dementia and condition. Diagnosing dementia requires a full review of the patient’s health care, family history and medication history. This includes evaluating the patient for depression, substance abuse and nutrition, and other conditions that can cause memory loss, including anemia, vitamin deficiency, diabetes, kidney or liver disease, thyroid disease, infections, cardiovascular and pulmonary problems. The patient must also undergo a physical exam and blood tests in order to determine which types of dementia the patient may be suffering from. Not every doctor is familiar with the complexities of dementia diagnosis, so you will need to find a doctor who is experienced at diagnosing dementia types. Currently, there is no single test that proves Alzheimer’s, although it is possible to achieve 90% accuracy. However, we may have difficulty in discovering the true underlying cause. In patients with advanced findings of brain dysfunction, diagnosing dementia is fairly straightforward. But in patients with some early findings of diminished brain function, the diagnosis and its type is seldom clear. Following are some of the approaches that are commonly used in determining types of dementia. The mini-mental status exam is a very brief evaluation of the patient’s cognitive status used in diagnosing dementia types. The patient is required to identify the time, date and place (including street, city and state) where the test is taking place, be able to count backwards, identify objects previously known to him or her, be able to repeat common phrases, perform basic skills involving math, language use and comprehension, and demonstrate basic motor skills. Another test for diagnosing dementia, the mini-cog takes only a few minutes to administer and is used as an initial screening for various types of dementia. The patient is required to identify three objects in the office, then draw the face of a clock in its entirety from memory, and finally, recall the three items identified earlier. Physicians diagnosing dementia may study the structure of the patient’s brain by CT or MRI to see if there are any growths, abnormalities or general shrinkage (as seen in cases of Alzheimer’s). Studies of brain function, using a PET scan and a special form of MRI can more definitively confirm the diagnosis of various types of dementia and raise the accuracy of the diagnosis to 90%. A PET scan administered and reviewed by an expert delivers the most accurate and suggestive results while diagnosing dementia. The most accurate form of PET scanning for types of dementia is called Stereotactic Surface Projection, which involves an advanced statistical analysis of the data. In 2007, led by Dr. Norman Foster, head of the Alzheimer’s Center at the University of Utah, a group of elite PET scientists and dementia experts conducted a study in which they performed PET scans and clinical tests on multiple patients. The accuracy with the tests was 90% for both Alzheimer’s and frontotemporal dementia types. They stated that scans increased the experts’ confidence in diagnosing dementia types and made them question and sometimes change the diagnosis in 42% of cases. They stated that early and accurate diagnosing of dementia is critical to avoid misdiagnosis and mistreatment. The results of this study show that PET scanning is highly predictive of the patient’s clinical course and essential to properly diagnosing dementia. Caring.com was created to help you care for your aging parents, grandparents, and other loved ones. As the leading destination for eldercare resources on the Internet, our mission is to give you the information and services you need to make better decisions, save time, and feel more supported. Caring.com provides the practical information, personal support, expert advice, and easy-to-use tools you need during this challenging time. Each person is unique and deserves a personalized approach when it comes to living healthy. What you eat, what products you use ~ on your body, in your home and office, how you talk to yourself ~ it all matters! Don't live in Atlanta? No problem. We do virtual coaching worldwide! I look forward to helping YOU Live a Happy Healthy Life! Leesa A. Wheeler, CNHP, CHS, CMSAT, CIC Healthy Lifestyle Coach, Author of two books... Live Well... Lifestyle Solutions for a Happy Healthy You! Melodies from Within Available on Amazon, BarnesandNoble,GooglePlay, iTunes! The India Hicks Collection ~ India was born in London, England, and comes from both British and design royalty. Each piece, designed by India and inspired by her British heritage, island life, and madcap daydreams, has a story. Pranzo ~ A Recycled Italian Leather Lunchbag/ Picnic Bag/ Multi Purpose Bag. Perfect for Everyone! Live Well: Lifestyle Solutions for a Happy Healthy You! Families deserve pristine, authentic products straight from nature. Seed to Seal is Young Living's promise that you'll get exactly that. ASEA ~ ASEA's proprietary Redox Signaling science provides support and health at the cellular level. You can't have a healthy body unless you have healthy cells!